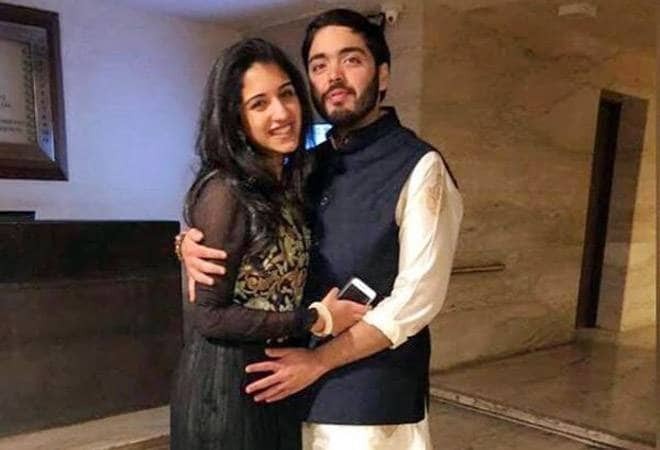 Images doing the rounds on the social media have sparked speculations that Anant Ambani and Radhika Merchant have been engaged. An image of Anant Ambani, Mukesh and Nita Ambani's youngest son, with Radhika Merchant has been doing the rounds on social media. Although news of the couple's engagement has been denied by a Reliance spokesperson, speculations are rife that the Ambanis might be preparing for yet another wedding by the end of this year. "Anant Ambani is not engaged yet," a Reliance spokesperson told Business Today. Isha Ambani, the daughter of Mukesh and Nita Ambani, got engaged to Anand Piramal last week and are likely to read their nuptial vows in December. Anand is the son of Piramal Enterprise chairman Ajay Piramal. Akash Ambani, the elder son, was engaged to Shloka Mehta last month and they are also likely to be wedded by December. Shloka is the daughter of diamantaire Russell Mehta. Akash and Shloka have been close friends for a long time and so have been their families. However, the Anant-Radhika engagement has not been confirmed yet by either of the families.